I am SO very excited to share with my fabulous readers a new online women's clothing company that has been featured in Vogue, Glamour and O Magazine!! 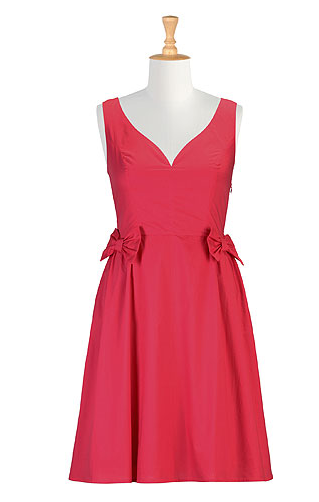 It is called eShakti that offers customized dresses, tops, skirts, cardigans, and even bridesmaids dresses. Usually customized pieces are incredibly expensive and not something that is associated with being affordable. However, eShakti is changing all of that with their line of customized clothing---nothing is stocked in a warehouse but rather every piece is customized with your body in mind!!! I was SO excited when eShakti contacted me to order one of their clothing items for a review on my blog. Blogging has provided me with so many awesome opportunities such as this!!! 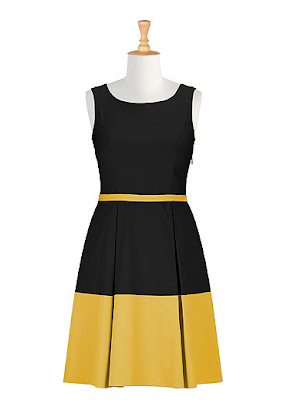 I was super excited to go online and find a dress I liked. I picked a beautiful dress with a brown and black floral print. So for whichever item you chose, you can either pick a standard size or a custom size at $7.50 extra and provide all of your measurements. Regardless of if you choose a standard size (which is what I did) or a customize size, you still enter your height so your item is proportional to your body. Moreover, you can add custom styling for $7.50 more. For my dress, I adjusted the dress length to make it a short dress. The styling options depend on the clothing item but can include variations of sleeve type or neckline. They were very prompt with shipping my dress and me receiving it once I ordered it. Once it came in the mail, I was so pleased with the excellent quality!!! For this first look, I paired my dress with some pearls and heels: a dressy look to show off this awesome dress! I love this outfit for for an elegant dinner party!!! For a fun "night out on the town" look, I wanted to style my dress with heels again, but this time I added socks and a belt. I have really loved the look of socks with heels this winter season. It's so sassy and girly all at the same time!!! I also paired the dress with a belt for added shape. I would totally wear this out for dinner and dancing!!! I love the detail of the neckline! Oh I just love this dress because there are SO many ways you can wear it. For this look I paired it with a black cardigan, belt and my Frye riding boots. 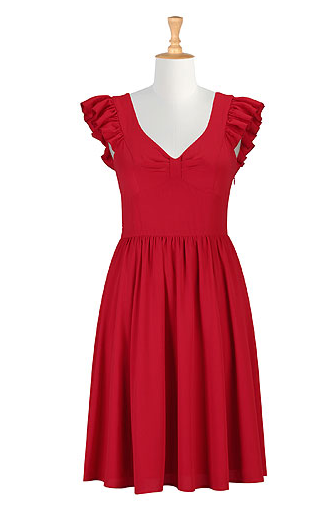 This makes the dress a bit more casual and appropriate for everyday wear. I want to thank eShakti for sending me this beautiful dress to review!!! 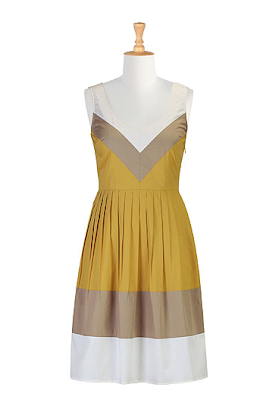 Be sure to check out eShakti.com right now for some amazing deals on customized fashion. Seriously, it doesn't get much better than affordable, stylish clothing that are customized to fit your body!!! Thank you SO much for reading dolls! :) Thanks so much girl. It was fun to give it a more edgy look! very nice ideas!!! I love the way you've styled it! Aw thank you for stopping by!!!! :) I really appreciate it! Love it with the boots! You are adorable and this dress looks beautiful on you:)! The information in your blog is very informative. Keep up the good work. WLCI School of Fashion offers various courses and programmes in fashion courses, which are very interactive and prepares students for real fashion world. My Faves at the Oscars!